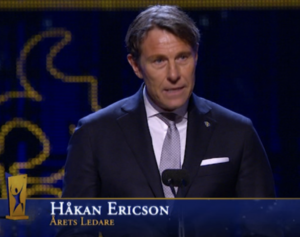 Håkan Ericson became the Swedish coach of the year 2016 when he and his Swedish national socker team made, what almost no one believed was possible, winning the European Championship under 21. He is the only Swedish coach who has win a goldmedal with a male national team ever. His special coaching and mental training technique has been documented in the book: The Way to the EM-Gold and has made him to a very sought after speaker, not only for sport – fanatic´s. He has a higher grade of references from business companies. One of his head topic´s is the transition in leadership regarding the generation Y & Z.